Real quick, I literally have a train to catch this morning. Lizzie is writing about apostasy and Islam. I skimmed through her latest blog and it was ominously a “part 1”. Really hate multi-part blogs. Get all done and dusted in one go! Anyways, I didn’t read it all. It was basically about some Saudi Arabian guy who has been sentenced to death for apostasy…in Saudi Arabia. Who cares, we are in the West. Everybody reading Liz’s blog will be from the West. Saudis have the right to self-autonomy. If a bunch of them get together and agree upon a rule for the collective is it really a big problem? After all, John Calvin’s Geneva had something similar in place, right? He was up for killing those deemed heretics. 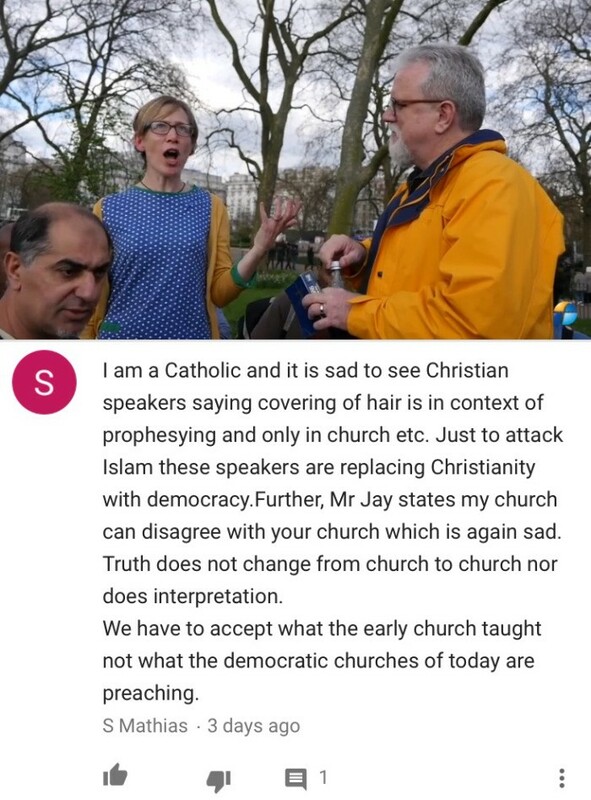 That was a Christian state. There was another nation which insisted on the death penalty for apostates too — Israel. Now, somebody (a Westernised non-thinking Christian) can get all up in arms and yell but that has nothing to do with Jesus or Christianity. Mate, the Trinitarians believe Jesus gave the rules in the Old Testament concerning apostates. Lizzie winds up doing propaganda, Jay Smith type of propaganda, which is not fair. She conflates the killing of somebody in Germany, allegedly for apostasy, with Islamic apostasy laws. Apostasy is a serious crime investigated by the state — it’s not a vigilante rule. There’s no Islamic state here so that law cannot be enacted. Listen to Dr Yasir Qadhi on this. Lizzie also seems to be culturally unaware too. Recently, I heard Will Storr drawing a dichotomy between Eastern and Western mindsets with relation to the community and the individual. For us in the West an apostasy law contradicts that personal, individual freedom that our lives are centred around. But for the Easterner it’s not the same — the group is central. The research experiment he spoke about was quite interesting. They recorded the reaction (eye movements) of Westerners and Easterners to a fish tank. The Westerners foccussed primarily on an unusual fish and were fascinated by that individual fish while the Easterners were looking around in the whole of the tank at other fish more. This would partly explain why we see more restrictive sets of laws in the Eastern countries with their respective Easterners generally in favour of laws which would contravene typical rights of the self in the West. China for example. She conflated an alleged apostasy killing in Germany (a vigilante killing which is not allowed in Islam) with what the Saudi state does. There’s big difference. So that Saudi man on death row for apostasy really doesn’t matter in Lizzie’s mind because in her mind, if Jesus came back tomorrow Jesus would kill him…and all the Saudis…and me! Another example of inconsistency below. Off to catch that train!